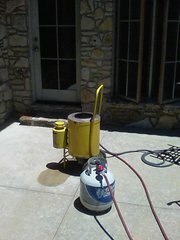 True dry steam can also be use to clean and disinfect areas. One of our steam cleaners ready for action. Cleaned by Pete serving Springfield MO 417-459-7869.